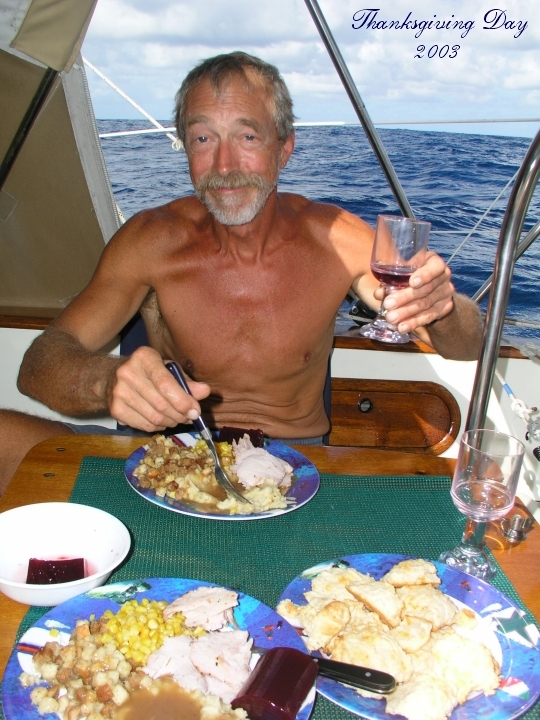 We spent Thanksgiving Day out in the middle of the Atlantic, but had a great Thanksgiving meal anyway! Turkey, stuffing, cranberry sauce, gravy, real mashed potatoes, and all the fixin's. Below is a shot of John enjoying our feast. There will be more here in the future. I just need time to work on the site. Come back in a month. 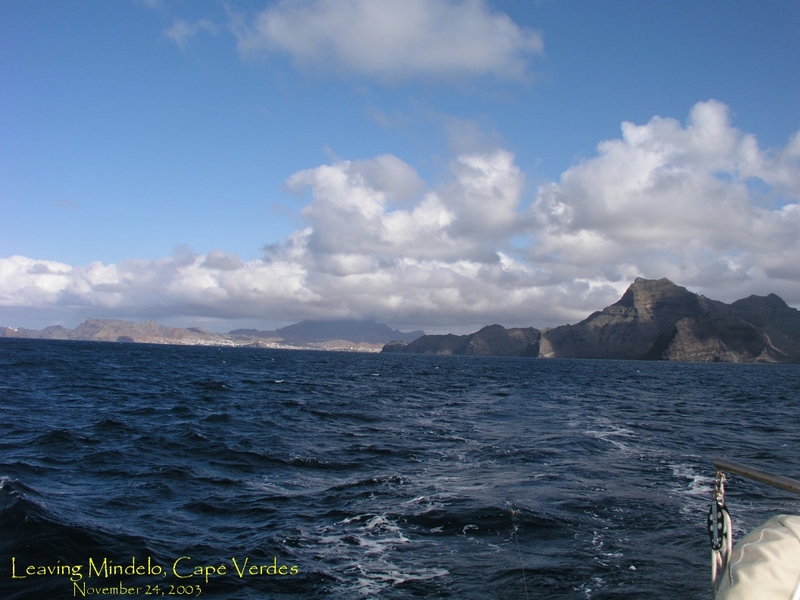 If you click on the thumbnail at the left you will see a picture of what it looked like as we departed Mindelo, Sao Vicente, on November 24th. 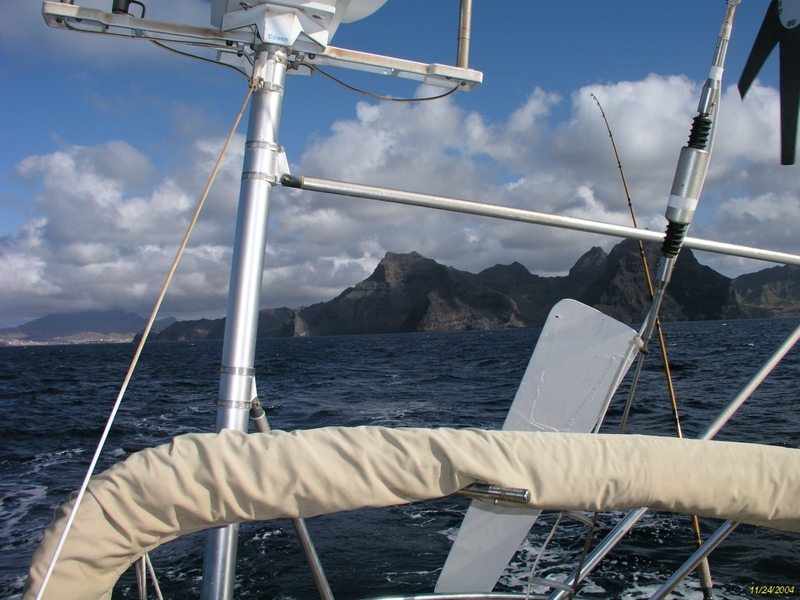 This was taken at about 6pm in the evening as we sailed just south of Santo Antao, the giant island just west of Sao Vicente. We observed our first pod of dolphins as the sun was setting. Just a beautiful setting. 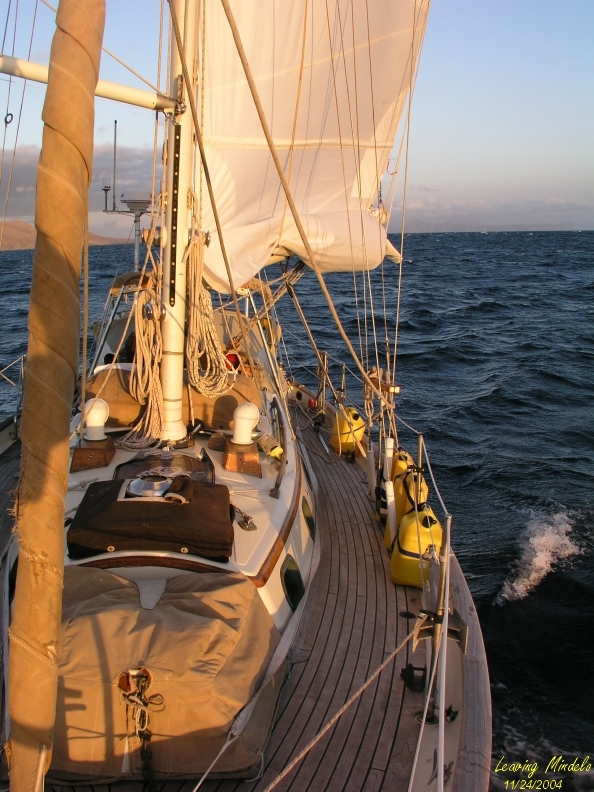 With the trade winds aft of Nirvana, wing on wing was a regular sail set for us. The boat moved along at 110 to 140 miles a day. 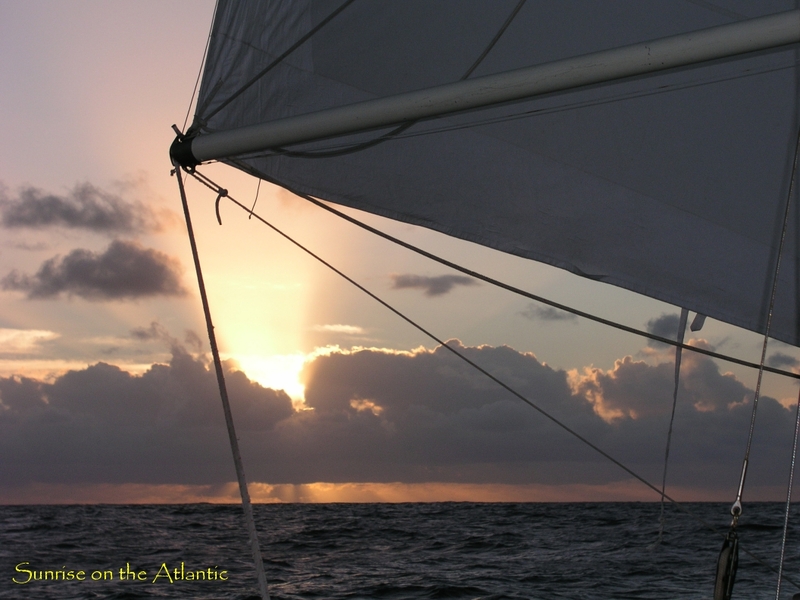 Our best day under sail was a 148 miler. 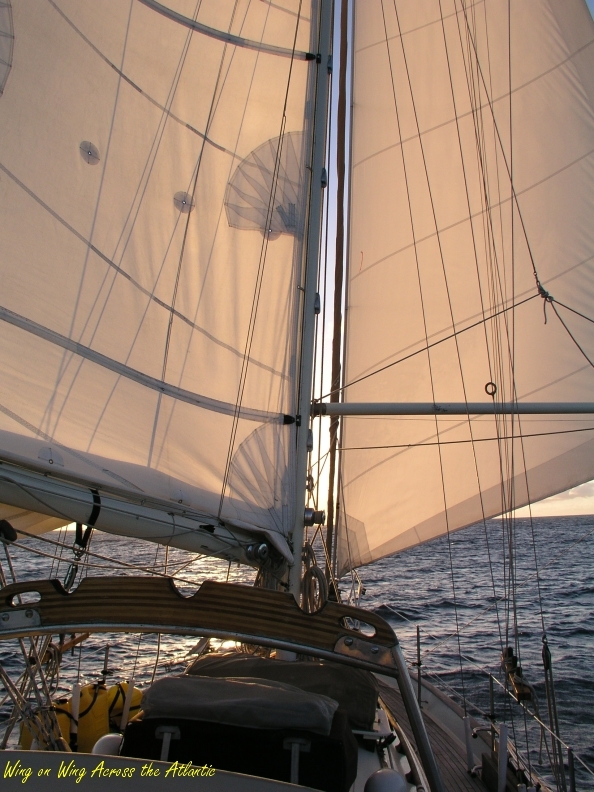 The only issue was the rolling effect we experienced on this point of sail. 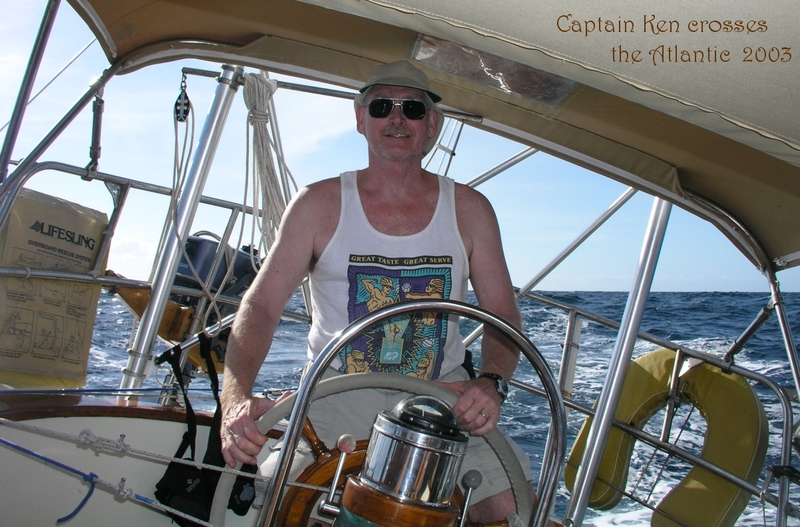 At times the boat would rock from side to side moving the mast thru a 40 degree arc. Just a bit uncomfortable, but not a real problem. 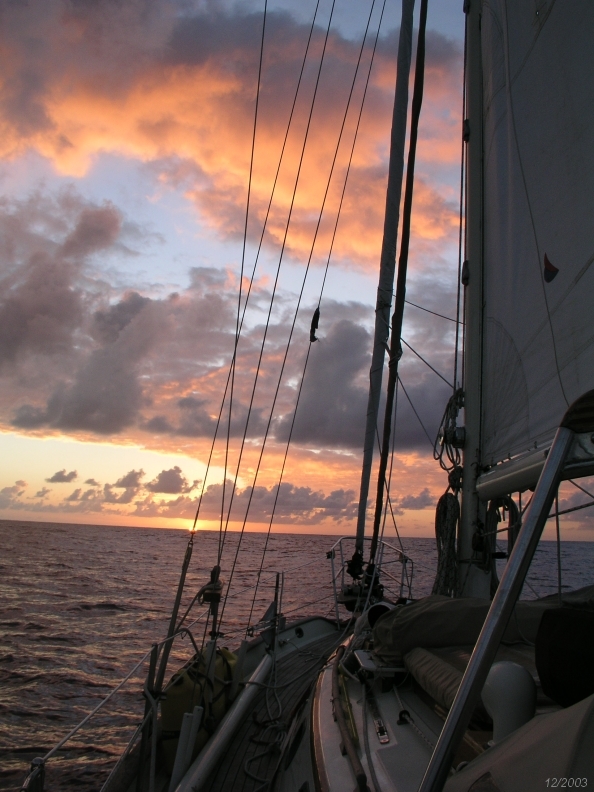 The rising and setting of the sun made for photo ops every single day when we were at sea. In fact, I had to restrain myself as I found each one unique and beautiful, but I know, that once captured on disk, they tend to look all the same. So above are a couple for your enjoyment. 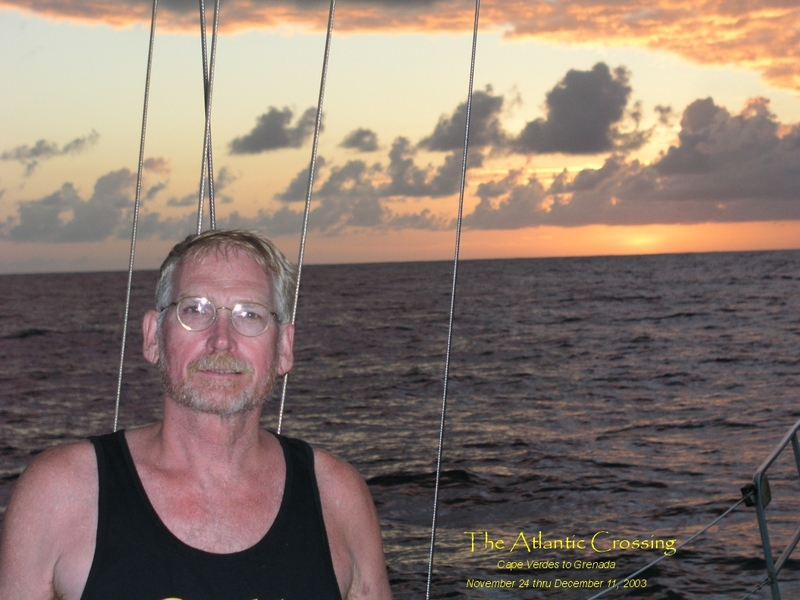 Sailing across the Big Pond took about 17 days. Below are a few shots I took out on the sea. The morning sunrises were spectacular and I probably took 50 shots of just sunrises. 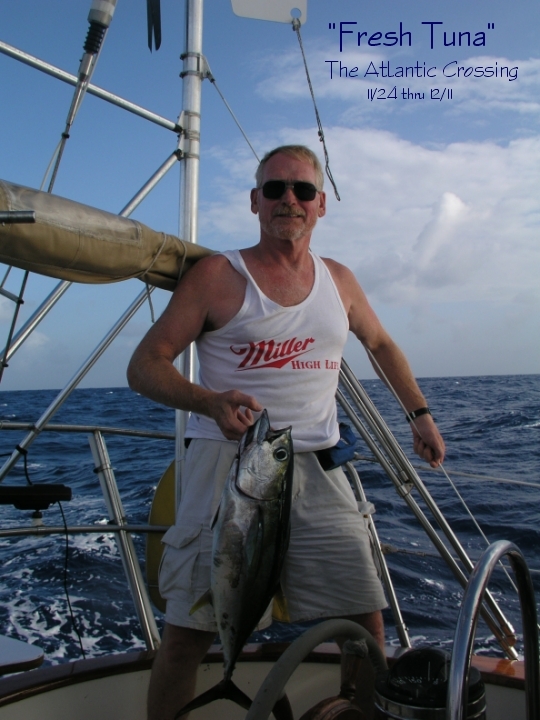 We had two hand lines out most days and caught a nice tuna. Bogie did a fine job filleting her and we ate some of the best tuna carpaccio I have ever had in my life--certainly the freshest as well. 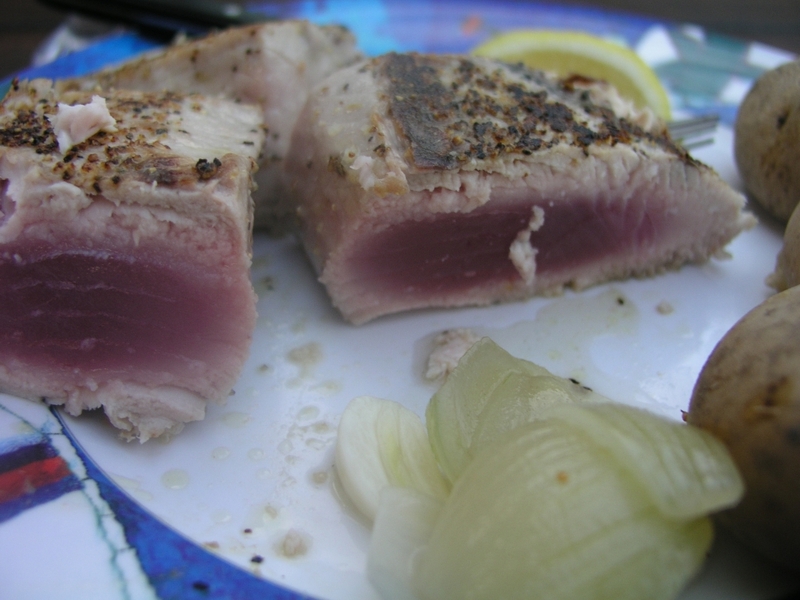 He then prepared a tuna steak dinner neither of us will ever forget.